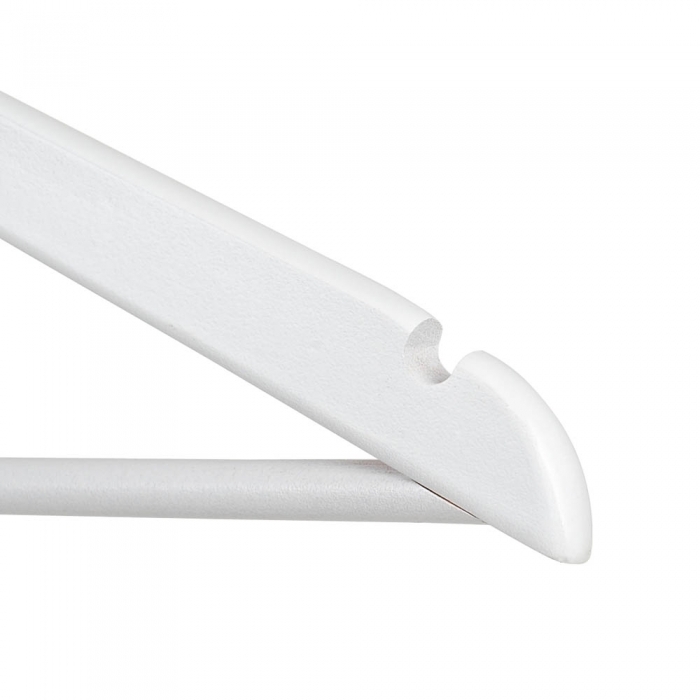 Standard Wooden Hangers in a white finish with bar. 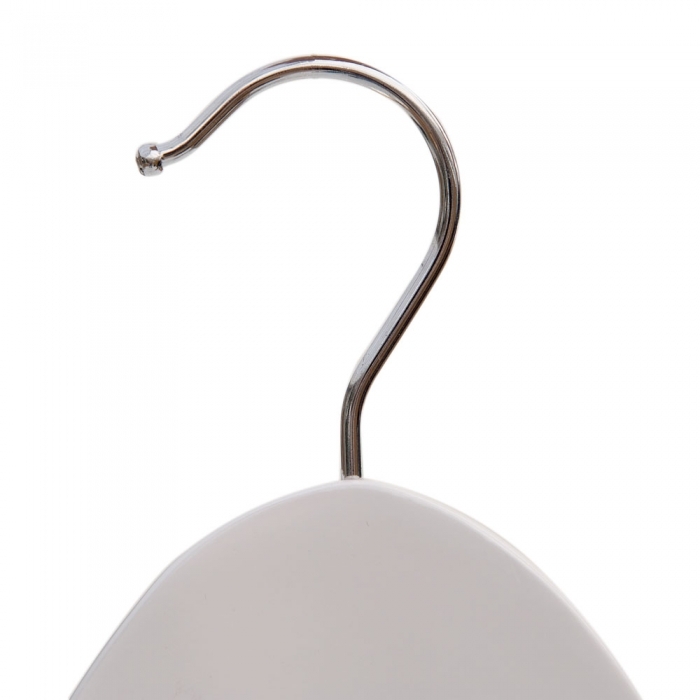 This flat necked hanger comes with a chrome hook and notches. 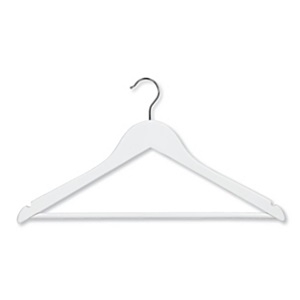 This hanger is 43cm (430mm) wide and sold as a box of 50 hangers. Perfect for the retail environment and sold to retailers throughout the UK and equally suited to the home. Ideal for tops, shirts, skirts and trousers. Shoulder notches for straps and skirt loops. Bar for trouser display.